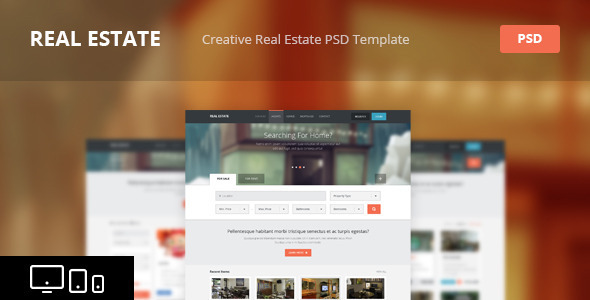 Real Estate – Creative PSD Template Created by bestwebsoft. This templates have specific characteristics, namely: Real Estate is a creative PSD template designed for commercial purposes. Add, edit and view various information about real estate properties and agents. Your users will be able to search the online directory with hundreds properties to buy or . You can use this Real Estate – Creative PSD Template on Psd templates category for bestwebsoft, bws, clean, fresh, listing, metro, modern, property, real estate and another uses. Real Estate is a creative PSD template designed for commercial purposes. Add, edit and view various information about real estate properties and agents. Your users will be able to search the online directory with hundreds properties to buy or rent. All layers are organized property, so it takes you a moment to find necessary layer and edit it. Download folder consists of 9 layered PSD files. File structure is fully organized to make the editing process more easy for end-users. Template is designed based on 960/768/320 grid systems. It is also ready for retina screens.